KIEV, Ukraine -- Marilyn Monroe taught him how to dance. Frank Sinatra was his sister’s godfather. 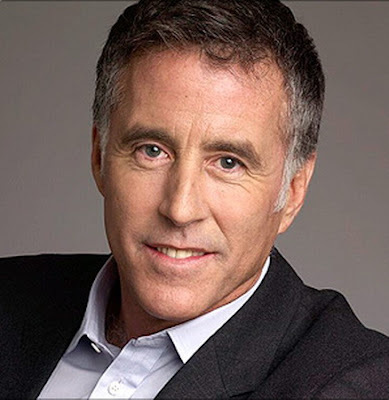 Christopher Kennedy Lawford, nephew of U.S. President John F. Kennedy, has led a life that in most ways is unimaginable for the majority of Ukrainians. But in other ways, Lawford’s story is familiar to some Ukrainians. He was a drug and alcohol addict who contracted hepatitis C.
The actor, writer and activist came to Kiev this week to meet officials, non-governmental organizations and students to raise awareness of a disease estimated to infect 1.1 million Ukrainians. Hepatitis C is known as a “silent killer” as it often remains dormant for several years before causing cirrhosis and other problems. It is spread by blood-to-blood contact, including blood transfusions and intravenous drug use. Lawford’s main message was that Ukrainian society needs to develop awareness of the disease and how to get tested, as well as removing the stigma of its major cause – drug addiction. Lawford came to advocacy by chance after penning a bestseller about his life. He said he couldn’t ignore the opportunity to follow in the footsteps of family members such as his uncle, the late U.S. Senator Edward Kennedy, who for decades campaigned for health care reform before his death last year. Looking out of a window one morning, he contemplated killing himself. “But I didn’t have a gun, so I turned to plan B,” he said. He called a cousin, who advised him to return to group therapy. It worked. He recovered and has not touched drink or drugs since. But in 2000 another bombshell hit when tests determined that he had hepatitis C. Fortunately, he had access to expensive treatment that eradicated the disease. But such treatment is rarely an option for sufferers in Ukraine, which is why experts say the focus must be placed on prevention by developing awareness. “We grew up in a closed society where our parents didn’t have the experience we have now. We learn with our children how to cope and how to be responsible,” said Olena Sakovych, youth and adolescent development officer for UNICEF Ukraine. She added that the level of awareness about hepatitis C is even lower than about HIV, another chronic problem area, especially among young people. “People simply don’t know about it and how to get the tests,” she said. Lawford suggested that all of society needs to change in order to understand addiction and stop stigmatizing addicts. “These are sick people in need of treatment, not morally corrupt people,” he said. Sakovych agreed, adding that this often stopped people from seeking help. “The stigma is so high that many of those who need help do not do it because of the fear of being discriminated against, especially in terms of health care,” she said. But changing views and traditions is a long and complex process. Lawford said there has been a shift in cultural attitudes in the U.S. toward drug and alcohol addiction in recent years, and an increase in understanding. But the lack of knowledge persists in Ukraine. “Ukraine is where the U.S. was a generation ago. It is an older society, so it could take longer to change attitudes,” he said.